Texas is such a large State with a population that is expected to grow from 28.3 Million Residents to 29,948,091 in 2019, and there is no doubt that drug rehabs in Texas will continue to be a needed health care service. Currently, there are 744 Drug Rehabs in Texas and many other drug rehabs opening in 2019. With so many different drug rehabs how do consumers pick a drug rehab to attend for an alcohol or drug problem? We hope that we can help you narrow down your search and make the process of picking a drug rehab to attend as easy as possible. Summer Sky Treatment Center is Licensed Substance Abuse Treatment Facility in Texas that offers all levels of care of alcohol and drug treatment services. The Summer Sky Rehab Program is a nationally recognized 54-bed treatment program. Summer Sky accepts adult males and adult females from across Texas. Summer Sky is known as one of the Best Texas Drug Rehab Programs in the State of Texas. 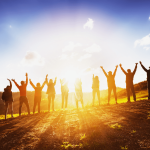 What is a Drug Rehab Program? A drug rehab program is a place where people with a drug problem go for rehabilitation from different addictive substances. Drug rehabs are normally licensed substance abuse facilities. However this is not always the case, so before committing to a rehab program, it is a good idea to ask the rehab program if the State of Texas licenses them. Why is a Licensed Substance Abuse Facility Important? When a drug and alcohol rehab is a licensed to operate as a substance abuse facility the individual receiving services are more protected than a facility that is not licensed. A licensed substance abuse facility is required to follow the rules, procedures, and laws that protect those with substance abuse problems. These rules and regulations are put in place by the Texas Legislation, and some rules are specific to Texas, and others follow federal guidelines. Collectively these laws help protect a consumer who is seeking alcohol and drug services. In Texas, alcohol rehabs and drug rehabs are sometimes called chemical dependency treatment facilities. The term chemical dependency is an older term that indicates that a person has become dependent on an addictive chemical. In Texas, a substance abuse facility offers treatment for individuals that have a chemical dependency issue. Another common term for chemical dependency is called a substance use disorder. Each of the above types of drug rehabs offers a level of care associated with the treatment. Often an individual will start in a higher level of care, for example, Medical Detoxification, and then once a person has completed detox, they will move into either an inpatient drug rehab or residential drug rehab. Medical Detox Rehabs are medical based specialty services that some drug rehabs in Texas include at their treatment programs. A detox program helps ensure that people who will experience withdrawal symptoms are safe during detox and the detox program helps a person manage the withdrawal syndrome. The Best Drug Rehabs offer medical detox programs on-site at their facilities. Note: Stopping a physically addictive substance without a medical detox program is dangerous, and a person that is dependent on physically addictive substances should seek help from a drug rehab that offers medical detox. During the detoxification process counseling, education and case management are types of services that complement medical detoxification. Individuals are also monitored 24-hours a day during medical detox. Inpatient alcohol rehabs are programs that offer a higher level of care for people that have experienced alcohol detoxification, but still, need more medical and psychological support after completing detoxification. Since alcohol is dangerous to withdraw from without medical attention an inpatient alcohol rehab will focus on updating a person’s treatment plan, helping a person with an associated medical needs and stabilizing a person’s alcohol cravings and mental status so that they can participate in the next level of care of treatment services. Inpatient drug rehabs are focused treatment programs that help men or women who have recently completed medical detoxification from physically addictive drugs. Individuals that move into an inpatient drug rehab need more medical stabilization and re-adjustment from the acute effects of drugs. During this phase of treatment, a person is focused on stabilization and working on treatment plans with a counselor or case manager. 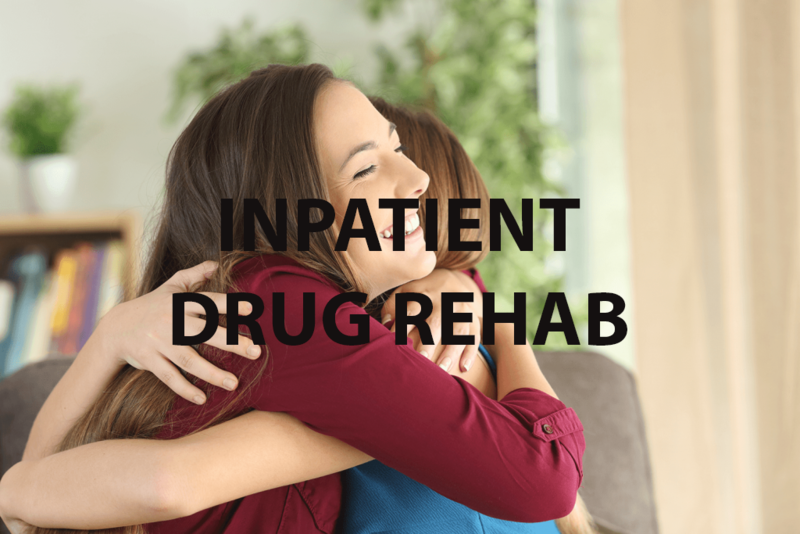 Residential Drug Rehabs are treatment programs that are designed to allow a person to live at the drug rehab facility while they are in the treatment program. Living at the drug rehab helps with removing the distractions from the outside world and allows someone to focus on solving their drug problem. It is more effective to attend a residential rehab program than any other type of treatment program because of the amount of addiction therapy that takes place when you live at the drug rehab facility. Residential Alcohol Rehabs focus on helping people who have become addicted to alcohol. These men and women learn new and effective ways to stay sober daily without the use of alcohol. Since a person stays at the drug rehab 24-hours a day a lot of alcohol therapy, education, group therapy, and individual treatment techniques take place during their stay at the alcohol rehab. Progress is made rapidly for people that attend a residential treatment center. Residential Alcohol Rehabs diminish the temptation of active drinking and help people with alcohol use disorders focus on treatment and recovery. A partial hospitalization program (PHP) is a great treatment program for patients that are experiencing mild to moderate withdrawal symptoms. It is always best to complete medical detoxification first before entering a partial hospitalization program; however, in some cases, a person will enter medical detoxification, residential treatment, and then partial hospitalization before discharging to an intensive outpatient program. There will be an assessment that will take place to determine if you are appropriate for this level of care in a drug rehab in Texas. Intensive Outpatient Treatment Programs are designed to help individuals focus on staying sober or clean from alcohol or drugs. They can last anywhere between 4 to 12- weeks and are offered 3 to 4 nights a week. The Intensive outpatient treatment programs involve individual counseling, group counseling, life skills education, alcohol and drug education and addiction therapy. Some incorporate 12-step involvement while others focus on cognitive-behavioral approaches to treatment. There are Intensive outpatient programs that involve both 12-step and cognitive behavioral approaches. In most cases, a person is back to work while attending an Intensive outpatient program. If you need a drug rehab in Texas, then consider calling Summer Sky Treatment Center. Our admissions specialist are available 24-hours a day. Our number is 1-888-857-8857. 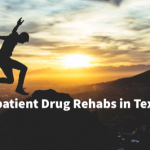 People that live in Dallas, Fort Worth, Arlington, Abilene, Austin, San Antonio, and Houston, Texas frequently utilize our drug rehabs in Texas.